Fairlight Lodge is situated in an area of outstanding Beauty close to the country park. There are plenty of lovely coastal walks with tourist attractions such as the North Seat, Fairlight Glenn, and (Pett dinosaur prints) to look at. 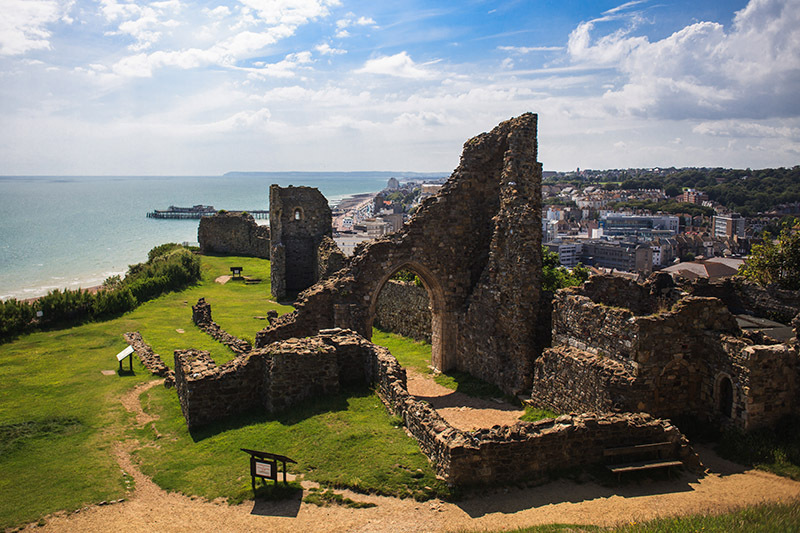 Hastings Town Centre with all the sights and attractions are only a short distance away including Hastings Castle the Sea life Centre, Smugglers Adventure, The Jerwood Gallery , The ship wreck Museum , and the sea front with its amusements and fair . Hastings is really three towns in one joined by a level promenade; the Old Town to the east, the bustling contemporary shopping Town Centre in the middle and St Leonards to the west featuring the classical elegance of James Burton’s architecture and the fashionable Norman Road – recently named as the new ‘Portobello Road-on sea’ by The Times` and offering a great collection of antique shops and vintage galleries. 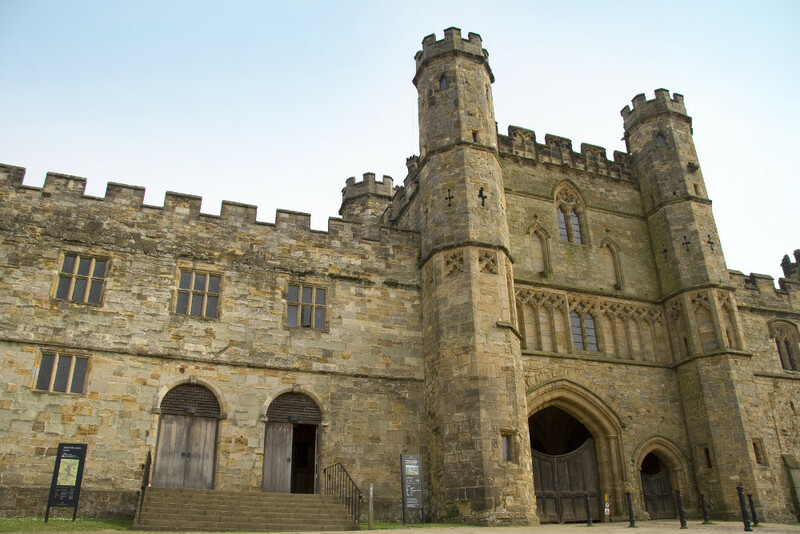 This cosmopolitan town is home to the largest beach-launched fishing fleet in Europe, the remains of the first castle in England to be built by William the Conqueror, a preserved Old Town and a strong local arts community. Hastings benefits from good rail links and therefore places like Eastbourne are only 25 minute away with Brighton 60 minutes away Ashford international and the international gateway only 20 minutes away from Rye , London is also easily accessible too. Located in a quiet residential district yet within easy accessibility of the town centre our Georgian house retains many original features which are enhanced by the furnishing styles within the public areas. of some of Hastings Restaurants Hastings also has a variety of galleries, cinemas, music venues, theatres and nightlife for your enjoyment whilst you are here. 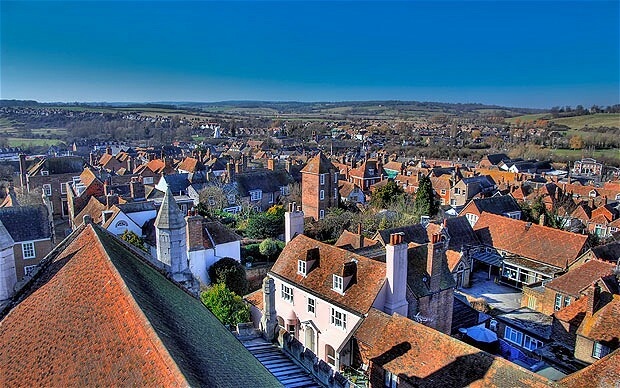 Rye is close by (15 minutes in a car and is a medieval town that can boast that Many authors, musicians, artists and celebrities have made Rye their home. periodically visited by Royalty. In 1573 the title “Rye Royale” was bestowed upon the town by Queen Elizabeth I after a three day stay. St Mary’s church tower (usually open to the public) offers the best viewpoint to show the terracotta roofs of the many timbered houses. These ancient buildings, cobbled streets and secret passages, once the haunt of smugglers and highwaymen, regularly attract film crews in search of historical settings for period productions. The sheer concentration of living history packed into this vibrant market town makes it the ideal place to discover.